Article headlines make the Internet go round. Ask any marketer, any writer, any reader, anyone. They’ll tell you: Article headlines are super important. How important, really, are headlines? Experience, data, and history all point to the fact that headlines are the single most important component of an article, bar none. 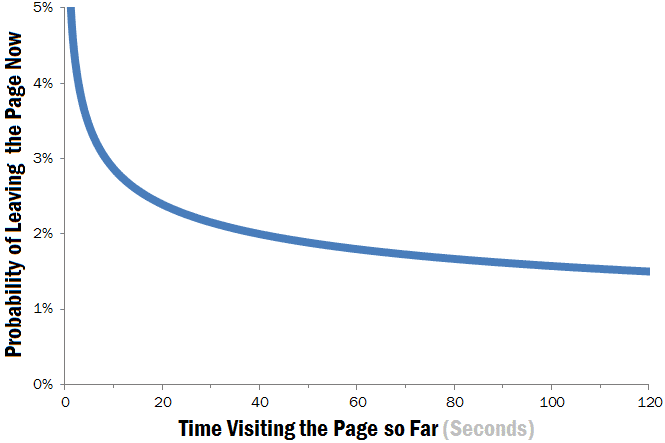 You’ve heard the statistics repeated ad nauseum — 80% read the headline, 20% read the article, ten seconds to gain someone’s attention, and all the other scary and data-driven statistics. Recognize this? I thought so. You know all this. More relevant to you is your own experience with headlines. Why are you even reading this paragraph right now, at this point in the space/time continuum of your mortal existence? You were beckoned by the headline, formula-driven and hackneyed as it was, right? Even though we’re Buzzfed up, Upworthyized, Viralnovaed, and Clickholed out of our minds, we can’t shake off this all-important reality: Headlines are freaking important. In fact, the word “important” isn’t strong enough. I’ve summed up the X ways that are guaranteed to turn you into a better headline writer. No matter who you are, what language you speak, or your final grade in composition class, you can develop white-hot skills in headline creation. Starting now. Once you reach this level of awesome, you’ll reap the rewards in traffic, audience, readership, engagement, conversions, and, hey, even feeling really good about yourself. I hate to lead off with a boring one, but it’s critical. You have to know your audience. Let me give you an example to explain what I mean. Is that not magnetic? Did it not capture your attention in two seconds? Will you not read the entirety of the article with rapt attention and owl-like eyes? You might find this headline uncontrollably entrancing if you are a peptide researcher, are a neurobiologist, are K. Tatemoto, or have a side hustle researching pancreatic peptides. This headline might just be the most electrifying headline in the whole world. Why? Because it could be exactly what some people are interested in. A good headline is relevant to the audience. Is that appealing? Absolutely. It has a wider appeal than polypeptides, which is cool, because ViralNova isn’t concerned about targeting a narrow slice of the human population. They are concerned with getting as many eyeballs on their content as possible. Who wouldn’t want to find out about a guy who couldn’t believe it when he thought he just found a regular fish? 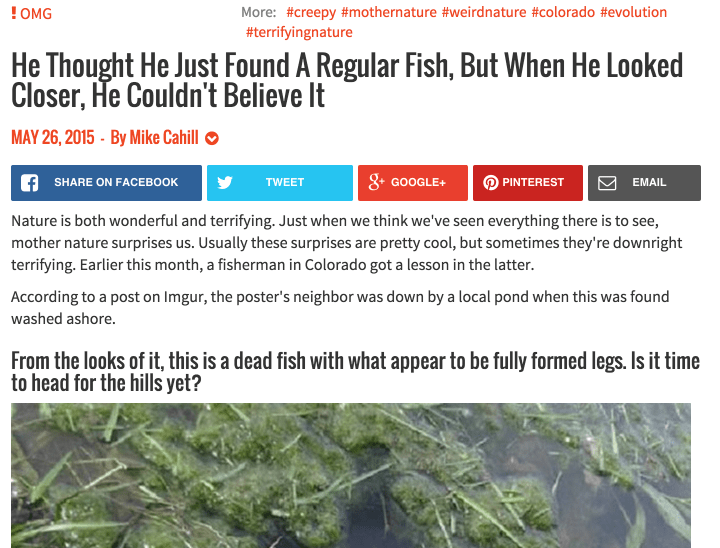 What is the difference between the peptide headline and the mind-blowing fish headline? It all comes down to audience. The Nature Science Journal has identified the audience that they want to attract (scientists), and ViralNova has identified the audience that they want to attract (warm bodies with a proclivity for clicking). So, what’s the takeaway for you who desire to be a better headline writer? Once you figure it out who your audience is, really and deeply, and discover what they want, you can create the best headline for them. A good headline is only as good as it is relevant to your audience. You only get better at something by doing it. A lot. Improvement gurus call it deliberate practice or DP. Why is Kobe Bryant so good at basketball? How did Misty Copeland become a star ballerina? Talent is overrated. Practice is everything. It’s no different with writing headlines. You’ve got to do it again, and again, and again, and again to the power of 100. Did you get that? Endless repetition. Excruciating boredom. Getting better at headline writing is an attractive destination, but the path to get there is agonizing. You’re not going to love it. You’re going to loathe it. Coschedule recommends writing at least 25 headlines per topic/article in order to come up with the best one. After you come up with 25, you eliminate over half, narrow it down to the best five, and poll your friends on the best of the survivors. 25 headlines is a lot of headlines. But it’s not just the number that is important. It’s the practice that goes into writing headline after headline after headline. Practicing writing headlines produces perfect headlines. I’m skeptical of formula-driven headlines. How many “things you didn’t know,” and “7 ways” (oops), and “you’re doing it wrong” articles can a single human being take in during a single lifetime? But here’s the thing. Headline formulas and patterns become formulas and patterns because of their proven past success. Even though you’ve already read eighteen “how-to” articles and nine list posts today, you’ll probably give in and read another six or so before 5pm. For example, Brian Clark of Copyblogger wrote an article a while back called “10 Sure-Fire Headline Formulas That Work.” His headline? It worked. And his formulas? Heck, they work, too! One of the reasons why they work is because they are psychologically appealing (more on that later) and audience specific. Let me show you one of Clark’s formulas as an example. The title here is ready to be tailored to a specific audience. Here are Clark’s three examples with my description of the intended audience. The formula-driven technique is only as effective as the titles are relevant to the audience. Go back to point number one and read it again if you’re not entirely clear on this concept. If all else fails and you simply cannot come up with a good headline, use a formula. They’re like training wheels. The more you write, the better you’ll get. And then you can branch out on your own. Split testing is the key to unlocking the potential of your website. I test everything. Images, kerning, headlines, post length, social media frequency, load time, navigation changes — everything. Why? Because split testing produces improvements. 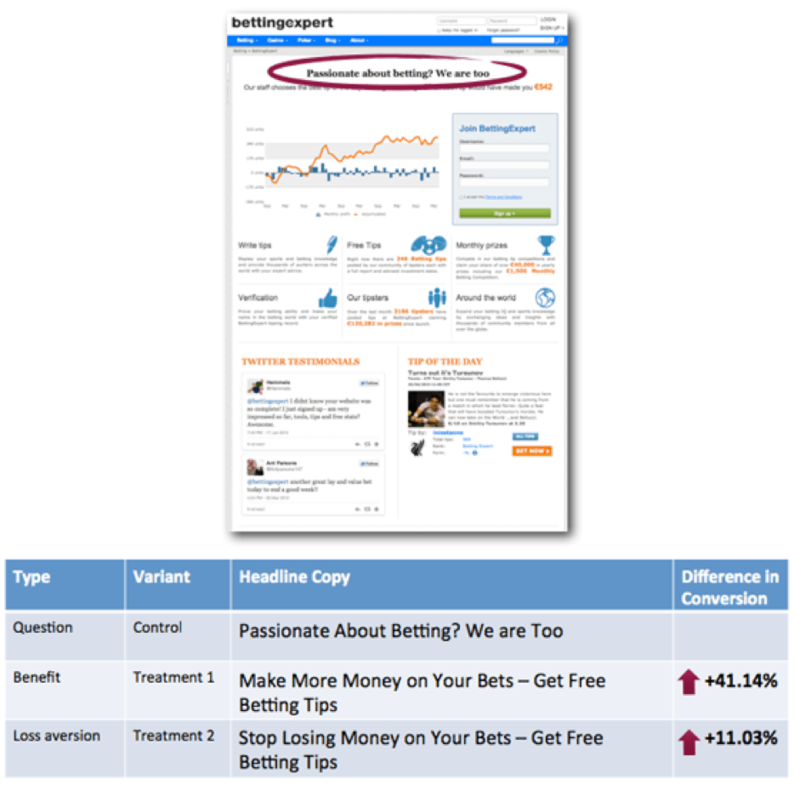 If you aren’t split testing your headlines, you’re missing out on a major source of knowledge. The better you know how your headlines perform, the greater ability you possess to produce killer headlines. Let’s say you produce a headline for an article, publish the article, and it gets shared and liked. Good. But what if you had written a different headline? Would it have gotten more shares and more likes? You won’t know unless you test. In a study released by Unbounce, one website tested three headlines, leading them to discover the winning headline with a 41% boost in conversions. 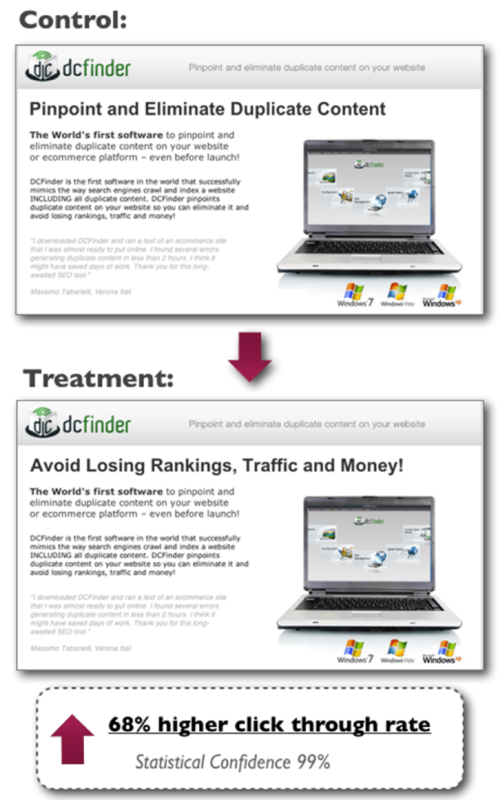 Another single headline change produced a 68% higher CTR. Testing is a scientifically sound and rigorous method of determining the actual best headlines. By running these tests and uncovering the comparative success of your headlines, you can’t help but get better. A less scientific way to test your headlines is with simple polls. When you come up with a series of headlines, send them to your colleagues and let them vote on which one they think is best. Although it’s not quite as sophisticated as running a split test, you’ll still be able to learn what best resonates with people. By polling and testing, you overcome one of the greatest roadblocks to writing effective headlines: Your own flawed assumptions. Assumptions are like a rut. You get stuck in it, don’t know you’re in it, and your conversions and clickthroughs are dying as a result. Kick yourself out of the rut with a little good old-fashioned testing, and you’ll race lightyears ahead in your headline creation skill. This final point sounds a bit weird, but it’s incredibly effective. Human psychology is the study of the mind — how it works, how it is motivated, how it processes information, etc. By unlocking a few common thinking methods, cognitive biases, and tendencies, you will be able to learn powerful ways of writing headlines that people deeply crave on an elemental level. For example, are you aware of the self-reference effect? According to the self-reference effect, the human mind interprets events and experiences in a different way if the information is related somehow to themselves. Memory works better when the information being remembered is related to the self. When this mental effect is applied to headline creation, it lets us know that we need to relate the headlines to the audience. More specifically, the self-reference effect informs us that using the word “you” or equivalents in a headline may improve the memorability and attractiveness of a particular headline. There’s no reason why issues like the self-reference effect should be locked away in volumes of peer-reviewed cognitive neuroscience medical journals. You should be using such knowledge to enhance your own article titles. Becoming a better headline writer is the good life. When you can unleash great headlines with skill and ease, everything in online marketing gets better. Conversions. Engagement. Clickthroughs. Shares. Traffic. “Getting better,” however, isn’t an accident. It requires intentional and sometimes mind-numbing effort. Remember the whole “endless repetition and excruciating boredom” bit? Yeah, it’s going to feel like that sometimes. Don’t stop. Success is in the offing. Let’s go make headlines that turn heads. How have you improved your ability to write great headlines?